Men’s tribal tattoos at BullsEyeTattoos.com are becoming more popular. They allow a man to express themselves in different ways. Since many men feel that a tattoo represents manliness, they want one that makes them look fantastic. They like to have the tribal tattoos because it allows them to look strong and more desirable to women. When they want to order a tribal tattoo, they first need to look at the selection and decide which one they like the most. Since there are a lot to choose from, it might take them a bit of time to decide which one is the right one for their build and their personality. If they aren’t sure which one they like the most, they might want to get the opinion of someone that they know to help them decide which will be the best one for them. Once they decide on the tattoo that they want, they need to make sure that they follow any kind of care that needs to be done in the aftermath of the implementation of the tattoo. If they are instructed to clean the area of the tattoo, they need to make sure they do so. Keeping the area clean can make a huge difference for a man, especially if he doesn’t want it to get infected. As more and more men decide to get tribal tattoos, the service will become even more popular with the majority of people. 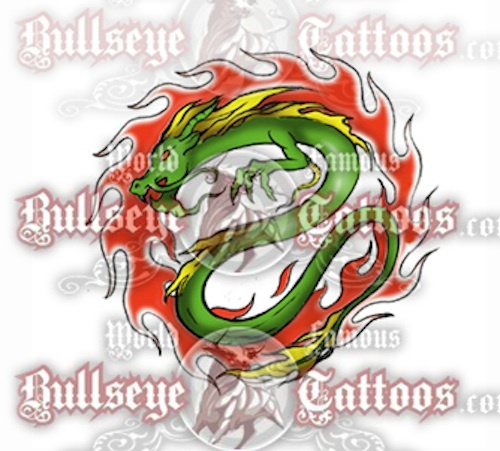 Having the access to BullsEyeTattoos.com online will make it a lot simpler for them to set up appointments and get the tattoo that they have been looking for. How To Rock The Hot Spring Trend: Temporary Tattoos! I don’t have any tattoos, but don’t mind them on a man…if they are tastefully done. I’m surprised my husband never got a tattoo. I think he never found one that he wanted on his body forever. I have a tramp stamp, but Hubs refuses to be tattooed. Lol, Jenn. I love how you called it out- “tramp stamp”. My husband’s first tattoo was a tribal – and now he has three! I have 4. My husband has zero. Though he did say he wanted to get two sparrows or something to represent his love for me. We’ll see. My hubby and I have tattoos but not any tribal ones. I have one tattoo and my husband has one. Our oldest son got his first at 16 (grumble,) in a state which allows younger kids to get tattooed, then he got a secret tattoo (large tribal tattoo on his side) when he was 17, and on Tuesday, he’s getting his first legit tattoo. He’s getting Dali’s elephants on his legs. My next tattoo will be a mother’s design, with all my kids represented in some way. I have one symbolic tattoo over my heart for my dad who passed away and am considering another for my children, but that would probably be it for me. I’m just not into tattoos. No tribal tattoo’s here but hubby and I do both have one. I have been thinking of adding to mine to personalize it more. I don’t have any tattoos. I don’t mind if a guy has one. I just don’t like when people are covered in them. It seems like those tribal tats have been around for a long time — I’m not a fan of them (but I do like others). I like the family one. I don’t have any tattoos, thankfully! But, my husband has several and he’s really into the tribal tattoos! I love tattoos, but I’m not particularly fond of tribal tattoos. I’m not a fan of tribal tattoos on anyone, ever. I’m not a big fan of tattoos at all. my husband and I have toyed with the idea of tattoos but we aren’t sure what we would want on us forever so we never got one.